How should international exchanges be structured to avoid exoticism and intercultural euro-centrism? Is the trans-cultural utopia of the electronic music scene able to overcome the dialectic of the colonized mind? 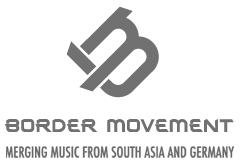 Gerriet Schultz is editor-in-chief of Border Movement, a platform for the exchange of electronic music scenes in Asia and Germany, significantly supported by the Goethe-Institute. He organizes workshops, concerts and club-nights in both regions and has a broad experience as a musician and club manager in Berlin.